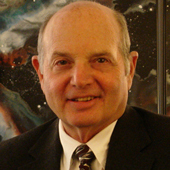 Gordon Bizar is the Founder and President of Bizar Financing and Relight America. Over the last 30 years more than 300,000 students have graduated through his Bizar Financing Business Program. During this time he has personally helped his graduates manifest their own business empires and generate millions of dollars in revenue by using his techniques. Gordon is an Expert Business Buyer and Finance Coach. He simplifies business purchasing and financing. He makes understandable the use of financial leverage to start, buy or build any business with little or none of your own cash. His unique expertise and success track record has led to his appearances on NBC's Today Show, PBS's Late Night America along with segments on more than 120 other radio and TV news and talk shows. He has been featured in articles in more than 25 of the nation’s leading newspapers including the Los Angeles Times, New York Times, and Wall Street Journal. Gordon has personally bought and built companies in fields as diverse as manufacturing, financial services and business education. He also served as Chairman of the California Task Force on Taxation and Regulation of Small Business during the Brown administration and is sought after as a consultant by businesses large and small and government agencies such as NASA for their technology transfer program.